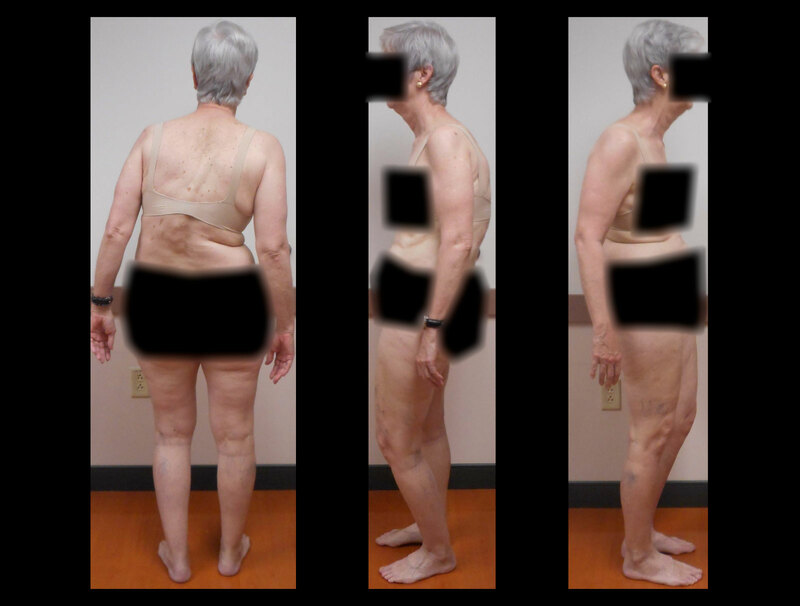 This 57-year-old physician who flew from Texas to see Dr. Lehman. 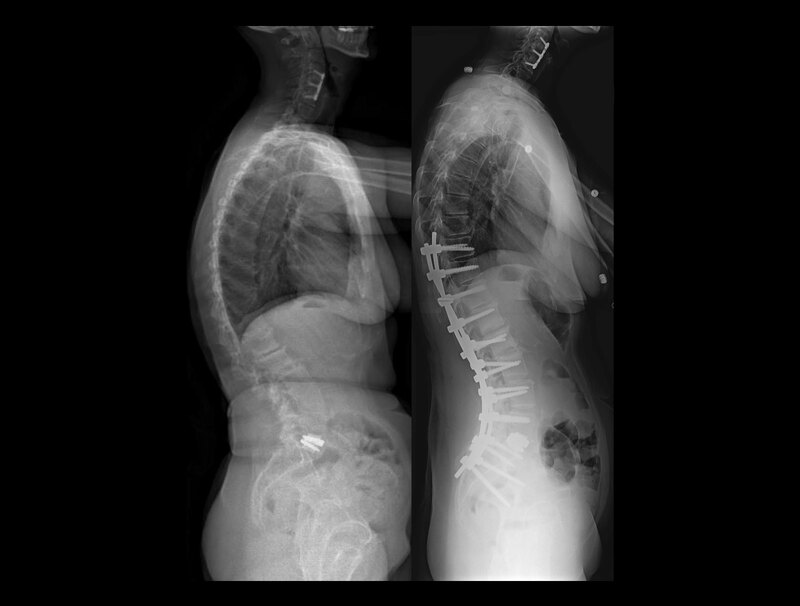 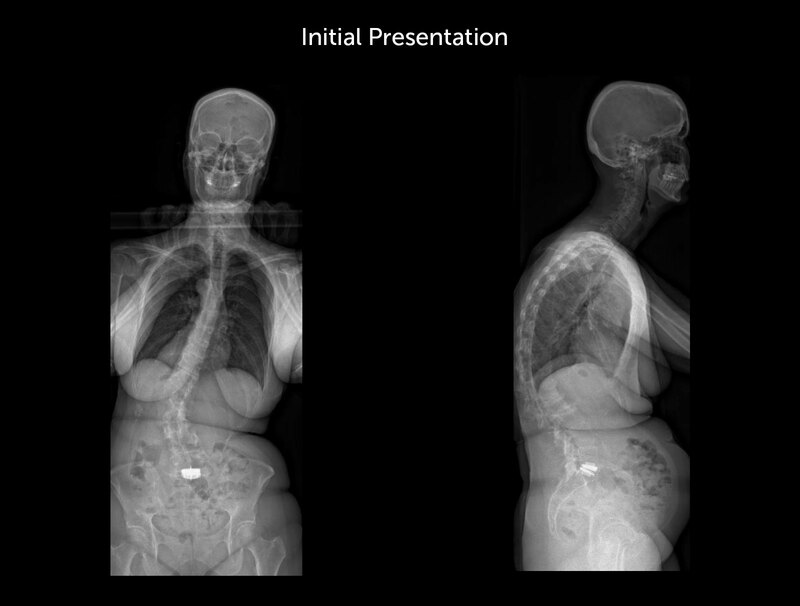 She presented with a significant scoliosis (bending to the side) and kyphosis (bending to the front), as well as cervical myelopathy. 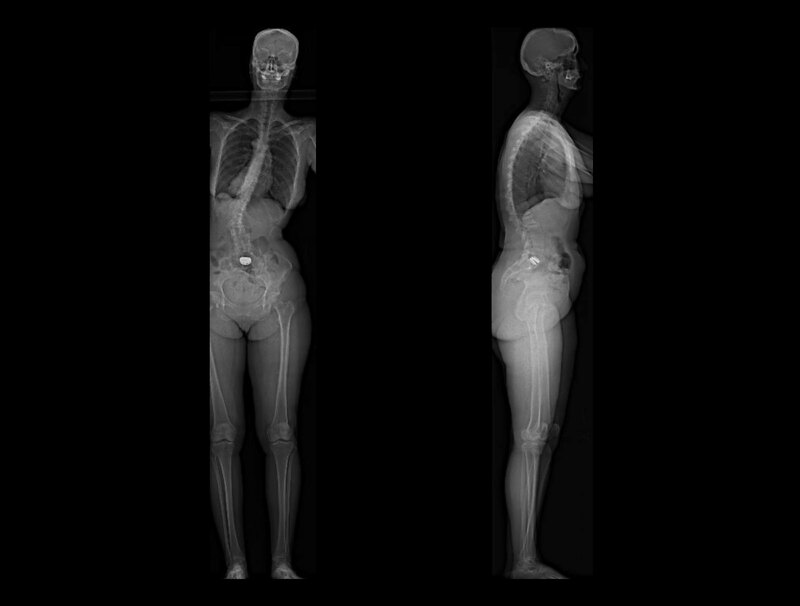 She was unable to perform her occupation as a physician taking care of patients because of her pain and deformity. 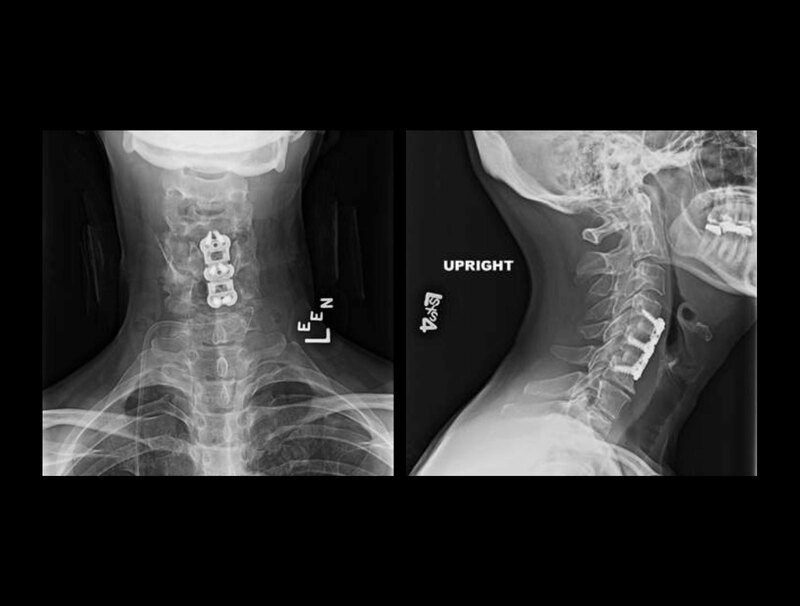 In addition, she was having balance and tripping issues, so Dr. Lehman decided to perform a cervical (neck) surgery on her first to take the pressure off of her spinal cord. 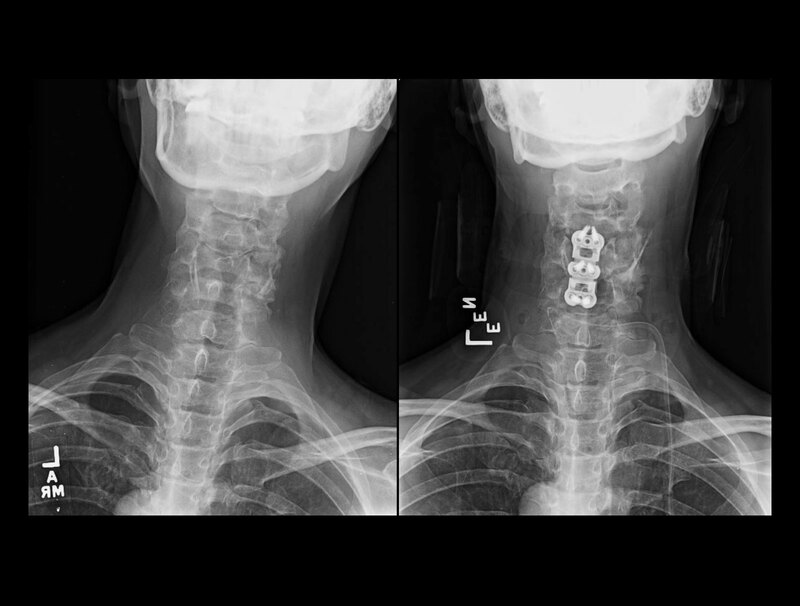 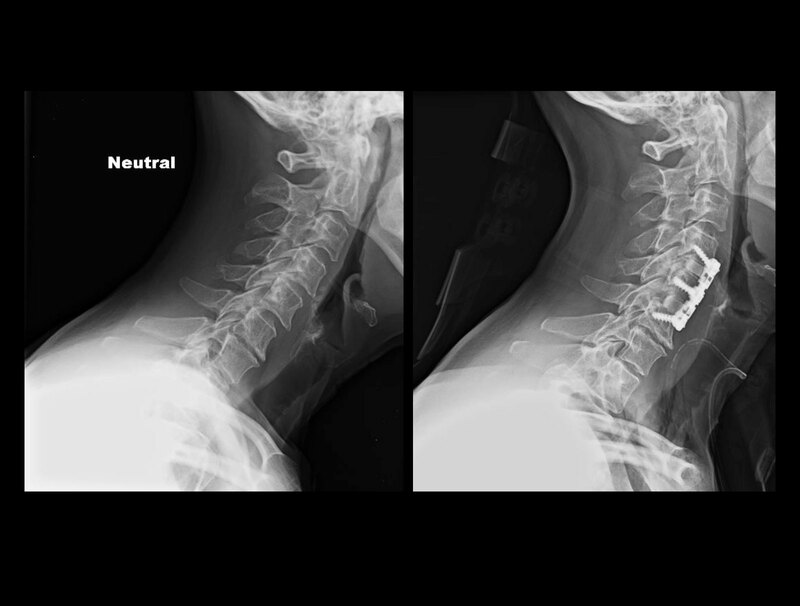 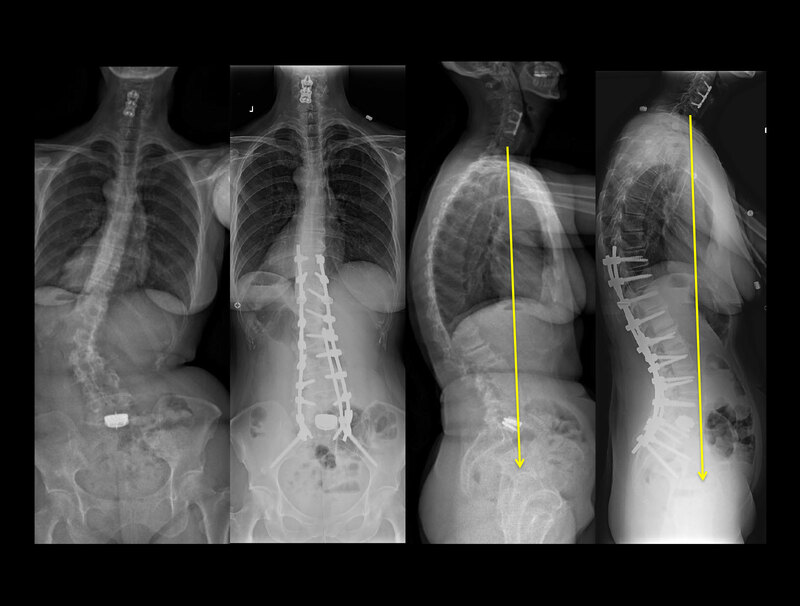 After the neck surgery, Dr. Lehman realized that her posture improved quite a bit, and was able to offer her a smaller surgery than previously discussed. 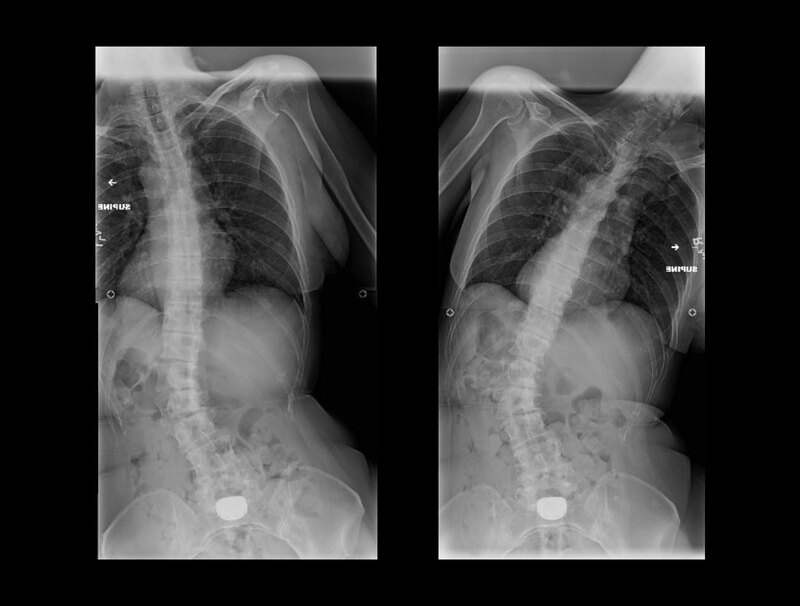 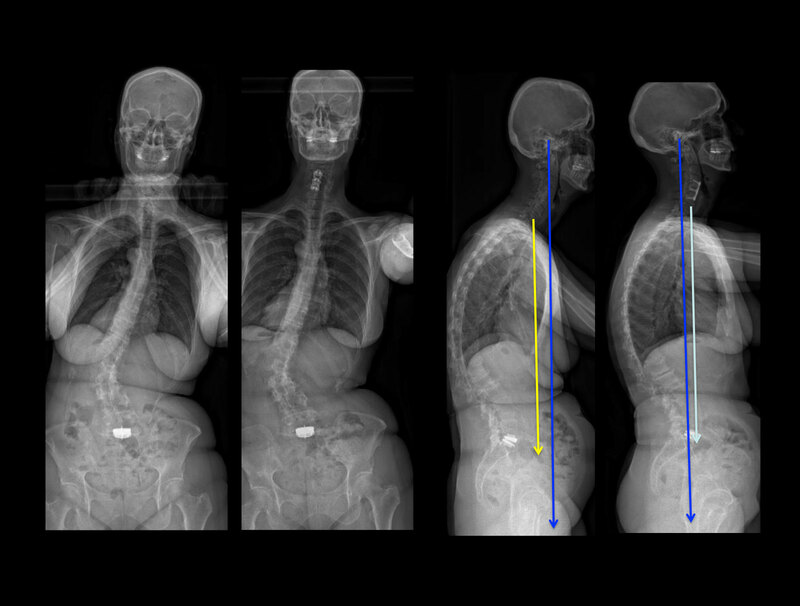 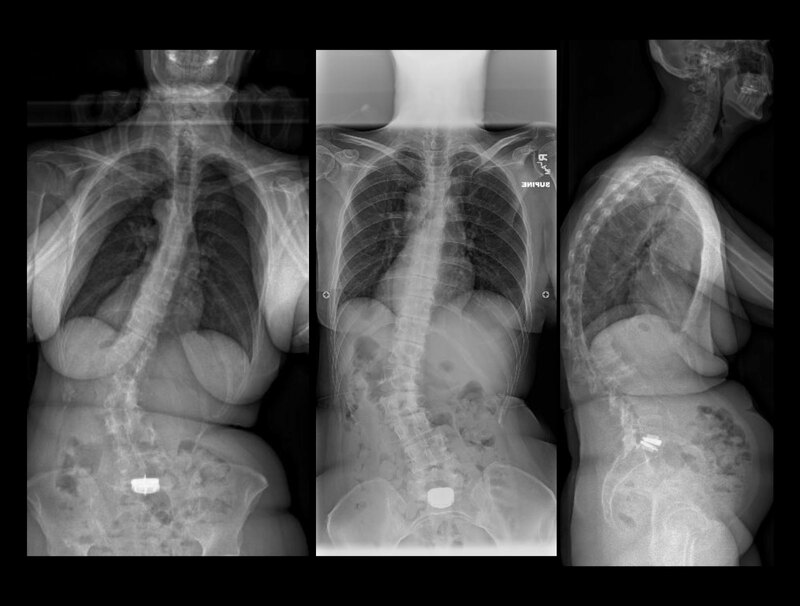 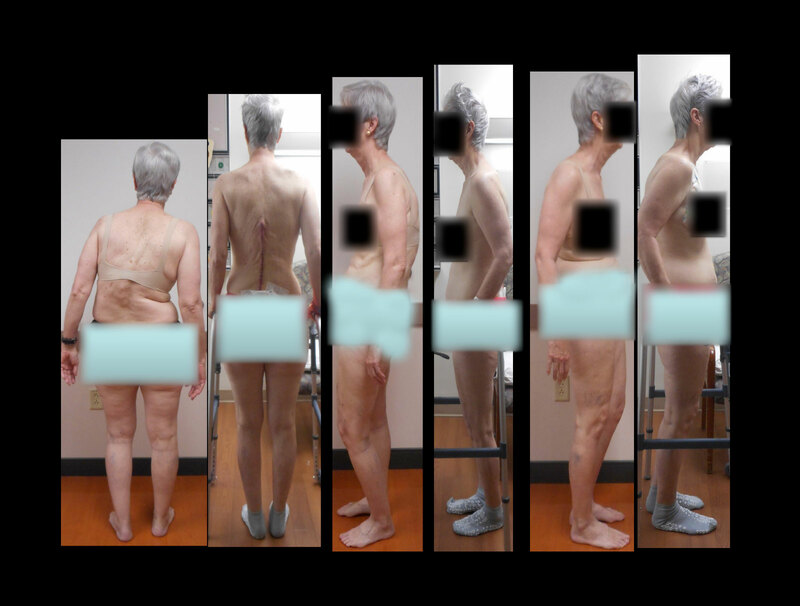 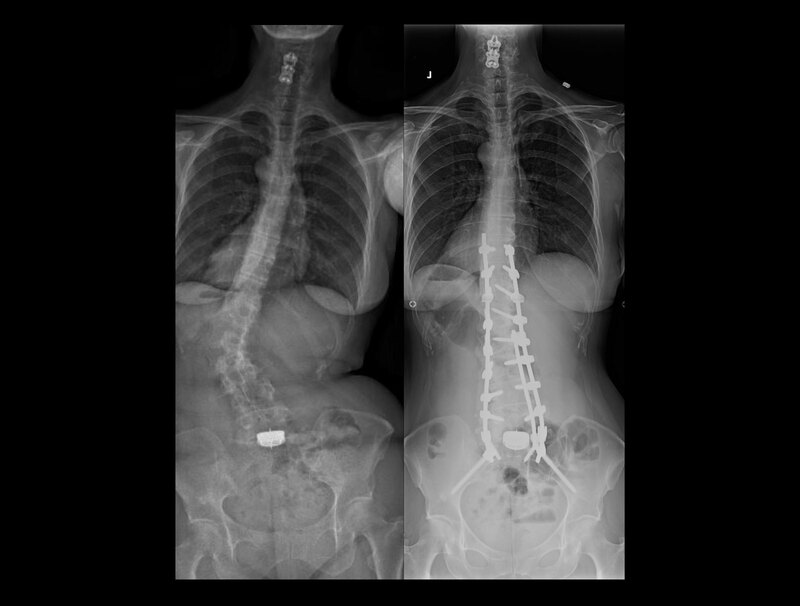 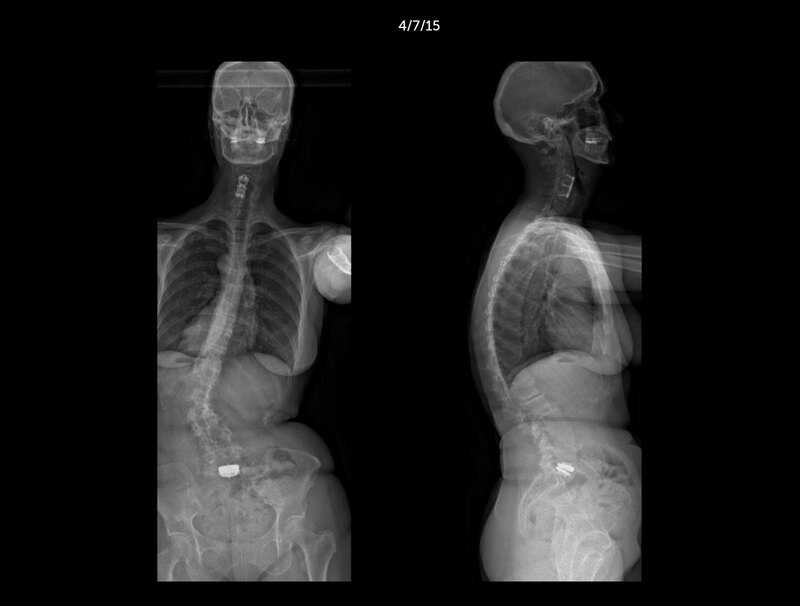 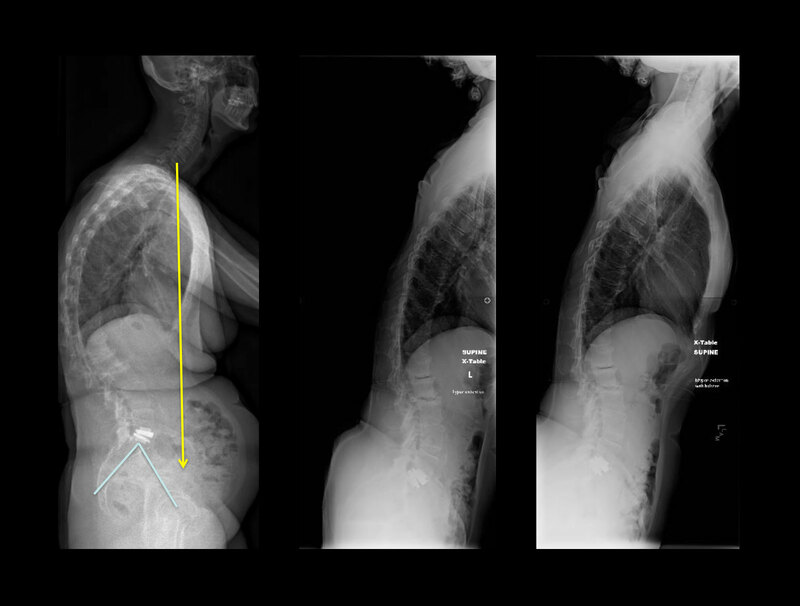 After recovering well from her cervical surgery, Dr. Lehman then performed surgery ( T10 – ilium/pelvis) approximately 4 months later to correct her scoliosis. 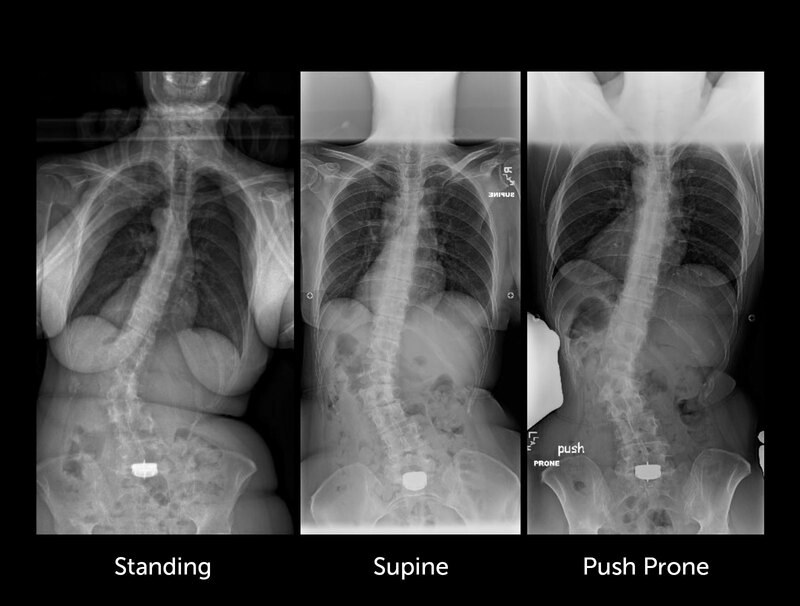 She only stayed in the hospital 4 days, and was able to get out of the bed the next day and walk with the therapists.